These back issues are a fascinating glimpse into the Jazz world of New York circa 1996 and 1997! Program form the 2007 Vision Festival which honored composer, trumpeter and teacher BILL DIXON with a lifetime achievement award! This sparkling autograph in silver ink captures Jeffries' gorgeous style, and will catch eyes hanging on your wall! Sixteen years before THELONIOUS MONK made the cover of Time, a pivotal profile in the important Jazz periodical, Record Changer, helped put Monk on the map. Herbie Hall was the brother of Edmond Hall and was himself a talented clarinet player. The celebrated protégé of the renowned Eubie Blake, Terry Waldo captures the history, personalities, and vibrancy of Ragtime like none other can. Phil Schaap Jazz is dedicated to providing free access to accurate and explanatory Jazz information while involving a new generation in Jazz delights; preparing a handful of those young people in training successive generations. While on this trail Phil Schaap Jazz is publishing a library that will be a solid foundation for a Jazz continuum. Phil Schaap Jazz hopes to sell such books and other pro-Jazz documentation to our website visitors, but you don't have to buy anything or even look at what is for sale. Enjoy! The story of Schaap Shop begins with the late and great Tommy Flanagan. The last time Phil spent time with this most beautiful and lyrical pianist – often hailed as the "Jazz Poet" – was just less than a month before he died. They attended a Jimmy Heath concert and later hung out at a jam session joined by Percy Heath. There, Tommy and Phil were further joined by Duke Ellington's nephew, the late Michael James. The three of them adjourned to a bistro and talked Jazz deep into the night. As Phil departed at the end of the evening, Tommy Flanagan walked him to the door, and in a serious tone remarked, "You should start a record store." He then poked Phil sharply with his index finger and continued, "And the name of it should be the Schaap Shop!" Tommy Flanagan's final instructions were the root to Phil and his students running the Schaap Shop (Gift Shop) at Jazz at Lincoln Center for three years which became the website Phil Schaap Jazz. philschaapjazz.com: where there's Jazz content for free and quality Jazz goodies are offered for sale! 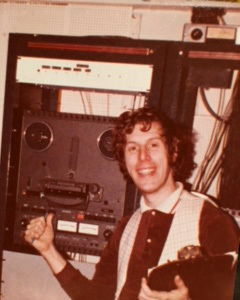 Phil has been a prominent voice in New York radio since 1970. He teaches in the Graduate Division at Juilliard and is the academic head of Swing University for Jazz at Lincoln Center. For 14 years, Phil taught in the American Studies Department at Princeton University. He has been profiled in the New Yorker magazine for his seminal role in the preservation of Jazz music, and is widely regarded as one of its foremost scholars. The products, knowledge, and radio broadcasts on this website are the result of his lifelong immersion in America's finest original art form, and represent the highest possible quality of information available in modern Jazz scholarship. Each item on this site has been handpicked by Phil and is presented with his stamp of approval and the verification that it is indeed genuine and valuable. The radio broadcasts and essays presented on this site are delivered without charge as part of our contribution to the enjoyment and understanding of Jazz. 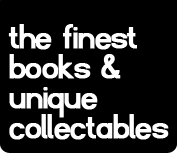 We entreat you to browse our stock of Jazz books, audio, and historic collectibles, knowing that each and every product you see is something truly special and that any purchase will further the cause of Jazz education.